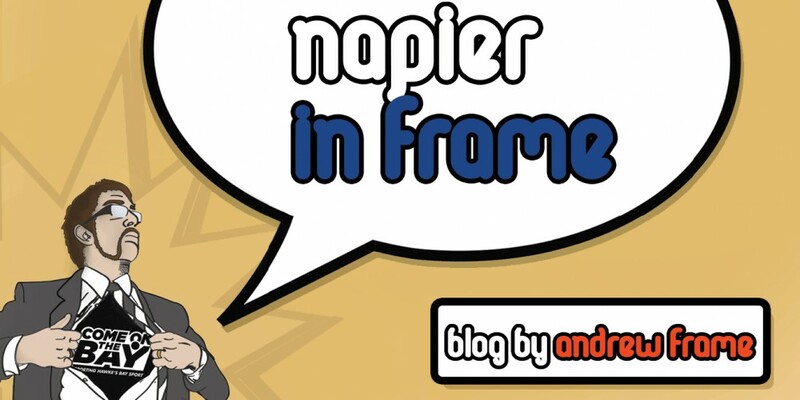 Have Your Say on the Future of Napier! It takes a mere five minutes to fill out the Council’s questionnaire and then there is a space for you to write your own submissions to the council on how you think our city should move into the future. I was a bit tardy, having been busy while the submission window was open, but I managed to get my submission down and have just sent it off. I hope you feel empowered to make your voice heard too! “Napier is a wonderful city. It has been my home all my life and I cherish it dearly. But Napier has been allowed to “age disgracefully” over recent years under previous administrations. It has often felt like “baby-boomers” rule and the interests of anyone under the age of 40 get ignored or have to fend for themselves. As a result, we annually lose generations of our bright and talented youth to other parts of New Zealand and the world. A few return in later life with their families, most never do. This creates not only a great gulf in the age bracket, earning Hawke’s Bay its sunny ‘Retirement village’ image, but also major cultural and economic holes in the region. When it comes to looking after Napier’s younger generations needs or allocating them some form of infrastructure, N.C.C.’s solution to date has been “build a skate-park!” Ho-hum! Skateboards and BMX’s alone do not a youth make. Where are the events, concerts, expos and exhibitions for our youth? Where are the workshops for young writers, actors, designers, technicians and entrepreneurs? Our central city is often bereft of shoppers, while the number of empty shops grows and festers. Napier’s CBD is a favourite destination for its young people, so why not combine these two elements for mutually beneficial results? Where is any voice or influence for Napier’s “Youth Council”? It has essentially vanished off the radar since I was a member in 1995! How are they being guided or given a voice? I remember hearing that in the last few years they staged a shanty town in the Library forecourt for the 40-hour famine and raised money for children in Africa. What about those underprivileged children in their own city? There is so much focus and so many millions being thrown at attracting tourists and their wallets to briefly visit Napier, but where are the initiatives and funding to keep our talented, inspired school-leavers in Napier? This is a problem that has been nagging at me for years. I never left Hawke’s Bay for university, a career or global migration after high school. I stayed here, living and working in what I still consider one of the best places in the world. It has had its advantages, but also some major disadvantages. Over the past decade the major drawbacks have been few career opportunities within the region and poor pay. Hawke’s Bay’s economy has suffered because of these factors and the poor economy has depressed wages and career opportunities even more. I have talked to and read items written by local business people and entrepreneurs in their 30’s who, like me, never left Napier, or went away and returned. They have good ideas on keeping Hawke’s Bay youth empowered, employed and engaged in Hawke’s Bay. I don’t consider continuing to put this problem in the “too hard basket” and hoping Hawke’s Bay’s bright and talented young one day return to be an option any longer. Somebody needs to take a stand and do something about it. Rod Drury’s Xero is a successful, global company. But one thing Mr Drury fears (I read this in a special CEO lift-out in the Herald) was his company losing its “start-up feel”. Start-ups are often skin-of-the-teeth operations. Someone starts with an idea and builds a business from it. People using their raw talent and skills – often without tertiary qualifications. I really admire people who can do that – I’m not sure I could. The technology industry is one of the main benefactors and biggest earners of start-up thinking and business. Just look at Facebook. Typically, modern start-ups are often begun by people in their late teens and early twenties, just the segment Hawke’s Bay is missing out on! We need to target these high-value tech companies and foster such start-ups to set up operations in Hawke’s Bay. Especially with web-based content, where work can be done from anywhere in the world, so why not Napier? With our youth being so tech-savvy, school-leavers would be ideal employment candidates. Pay them more than the local retail of hospitality industry (it shouldn’t be too hard), provide some on the job training and “Boom!” – instant workforce and all-round benefits to Napier and Hawke’s Bay’s economy! This isn’t asking for preferential treatment for Hawke’s Bay’s school leavers and 20-somethings. This is about giving them the opportunity to stay in their home towns if they want to and at the same time creating real, well-paying career opportunities and boosting our regions flagging economy. Doing nothing is no longer an option. It’s time we did something about it. This entry was posted in Hawke's Bay, Media, Opinion, Politics, Social Media, Writing and tagged #Gigatown, #GigatownNapier, Business, Election 2013, Hawke's Bay, Humour, Media, Napier, Opinion, Politics, Retail, Social Media, Sport, Taradale, Tourism, Twitter, Writing, Youth by Andrew Frame. Bookmark the permalink.